Here we come with information about Summer Sale which is available at Dynamite Canada stores and Dynamite Canada online. 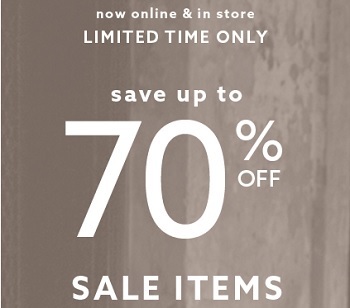 You can enjoy discounts reaching 70% from original prices. Offer is valid on sale styles. You can also enjoy a free shipping on online orders of $50 or more. Official source of the information is Dynamite Canada. Offer is valid through July 30, 2016. For more information about the promotion visit any Dynamite Canada store or Dynamite Canada online.